Nate Applewhite - D. 6-11-2018 - 82 - drummer - longtime member of Magic Slim and the Teardrops -also backed Junior Wells, Sammy Lawhorn, Little Milton, A.C. Reed and many more. Dean Ford (Thomas Macaleish) - D. 12-31-2018 - 72 - Parkinson’s - singer of beat bop 60s/70s group Marmalade and the Alan Parsons Project. Steve Ripley - D. 1-3-2019 - 69 - guitarist for The Tractors country rock band and backed Bob Dylan during the 80’s. Eric Haydock - D. 1-6-2019 - 75 - original bassist for The Hollies - was one of the first British musicians to play a Fender Bass VI, a six-string bass. Dave Laing - D. 1-7-2019 - 71 - music writer and magazine editor of “Let It Rock” and “The Encyclopedia of Rock”. Clydie King (Brown Sugar) - D. 1-7-2019 - 75 - complications of a blood infection received during dialysis treatment - legendary backing singer for Ray Charles, Bob Dylan, The Rolling Stones, Lynyrd Skynyrd and many others - she recorded as solo artist under the name Brown Sugar and reached number 44 on the Billboard R&B charts in 1973. Joseph Jarman - D. 1-9-2019 - 81 - cardiac arrest - jazz musician and composer and Shinshu Buddhist priest - member of the legendary Art Ensemble of Chicago. Larry Cunningham - D. 1-10-2019 - 67 - long illness - member of 70’s Detroit R&B vocal group The Floaters. Kevin Fret - D. 1-10-2019 - 24 - gunshot - shot at eight times while riding a motorbike in the street - a Puerto Rican singer, rapper and first openly gay Latin trap artist known for his gender-variant looks. Mickey Coyle - D. 1-10-2019 - stand-in bass player for classic punk rockers GBH. Bonnie Guitar (Bonnie Buckingham) - 1-12-2019 - 95 - American singer, musician and producer best known for her 1957 country-pop crossover hit “Dark Moon”. She became one of the first female country music singers to have hit songs cross over from the country charts to the pop charts - co-founded Dolton Records in the late 50s and became part owner of Jerden Records. She continued performing and playing until she announced she was retiring in 1996 and still performed on weekends at the age of 92 with her band. Carol Channing - 1-15-2019 - 97 - singer, actress, comedian and Broadway musical legend who also starred in big screen musicals. Lorna Doom (Teresa Ryan) - 1-16-2019 - 61 - cancer - bassist for the LA’s legendary 70’s punk band The Germs. Ron Watson - D. 1-17-2019 - 62 - Multiple Myeloma - original guitarist and founding member of Helix - in the last decade of his life he reunited with some former band members to form The Heinz Peper Band and the Rockervilles. Reggie Grimes Young Jr. - D. 1-17-2019 - 82 - congestive heart failure - American musician who was lead guitarist in the American Sound Studio house band, The Memphis Boys and was a leading session musician - played on various recordings with artists such as Elvis Presley, John Prine, Herbie Mann, J.J. Cale, Dionne Warwick, Willie Nelson, Waylon Jennings, the Box Tops, Johnny Cash, Jerry Lee Lewis, Merle Haggard, George Strait, The Highwaymen, and many more. Edward “Ted” McKenna - D. 1-19-2019 - 68 - complications undergoing a routine hernia procedure - drummer for The Sensational Alex Harvey Band, Rory Gallagher, The Michael Schenker Group. Edwin Birdsong - D. 1-21-2019 - 77 - Pneumonia - a jazz and funk keyboardist whose music was sampled by Daft Punk, Kanye West and Snoop Dogg. Steve Madaio - D. 1-22-2019 - 70 - Trumpet player - member of the Butterfield Blues Band when they played Woodstock - as session player he recorded with Stevie Wonder and the Rolling Stones. 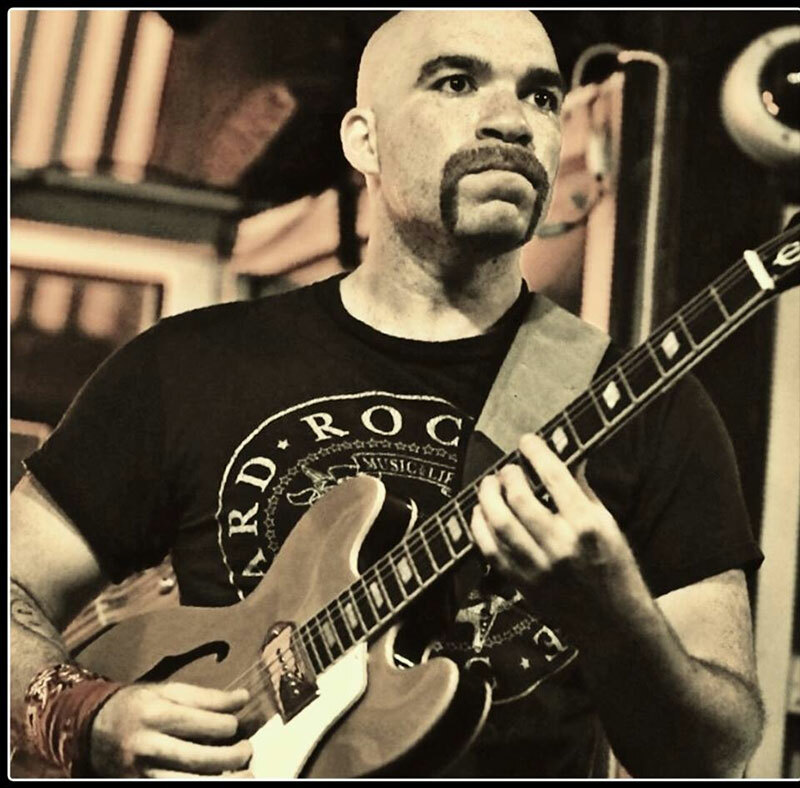 Michael Ledbetter - D. 1-22-2019 - 33 - epileptic seizure - popular Chicago blues vocalist and guitarist - sang for Nick Moss & the Flip Tops - most recently joined with “Monster” Mike Welch to form The Welch Ledbetter Connection. Clive Stevens - D. 1-24-2019 - British jazz musician and producer - played for Manfred Mann’s Chapter Three. Bruce Corbitt - D. 1-25-2019 - 56 - esophageal cancer - vocalist for Rigor Mortis and Warbeast. Michel Legrand - D. 1-26-2019 - 86 - natural causes - Oscar Award winning French musical composer, arranger, conductor, and jazz pianist - wrote over 200 film and TV scores - known for his often haunting, jazz-tinged film music and scores for the films of French New Wave director Jacques Demy. Paul Whaley - D. 1-28-2019 - 70 - heart attack - drummer for Blue Cheer and the Oxford Circle.